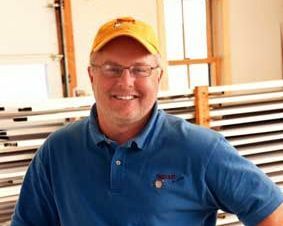 Scott Burt is a wood finishing specialist from Vermont, the owner operator of Topcoat Finishes, Inc., which you can visit at 802paint.com. He is also a professional freelance writer, having written the popular monthly From the Field column in American Painting Contractor magazine since 2008. In addition, Scott frequently contributes to the Journal of Light Construction, as well as Professional Deck Builder magazine. Scott shares his passion for finishing and wood care all over the country through the Prep to Finish training program, and as a clinician at major building and remodeling industry trade shows. Most recently, he taught with business partner Todd Pudvar at the JLC Remodeling Show and Deck Expo in Chicago, with classes on ipe, finishing and maintenance of exotic wood features. All ipe owners who are serious about a “no run around” experience with their ipe should have Scott as a contact in their phones, always just a call, email or text away when ipe questions or issues arise. Through this site, you can team with Scott to make sure that your ipe experience goes as planned.